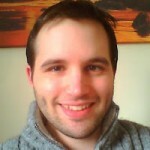 Tag Archives for " David Tully "
Thursday is guest post day here at Duct Tape Marketing and today’s guest is from David Tully– Enjoy! In a blog post after the release of their new “Graph Search” application, Facebook encouraged business’s to “continue to invest” in their pages and keep them up to date so as they will show higher up in search results in Facebook’s new feature. What it looks like they are trying is to get a larger slice of the market in regards to customer review sites such as Yelp and other websites like Groupon, while only really dipping their toes into the water in terms of a full-blown search engine like Google. As I have already mentioned, if you don’t have a popular, active Facebook page, the likelihood that your page will show up in Facebook Graph Search results is much lower. Increasing your social media presence and increasing activity on your page through special offers, coupons and competitions is highly recommended, boosting your reputation and profile. Once you have a thriving Facebook page, you are much more likely to be recommended by others. In the past, customer reviews on Yelp and other review sites really helped boost your profile on Google and on organic search results. 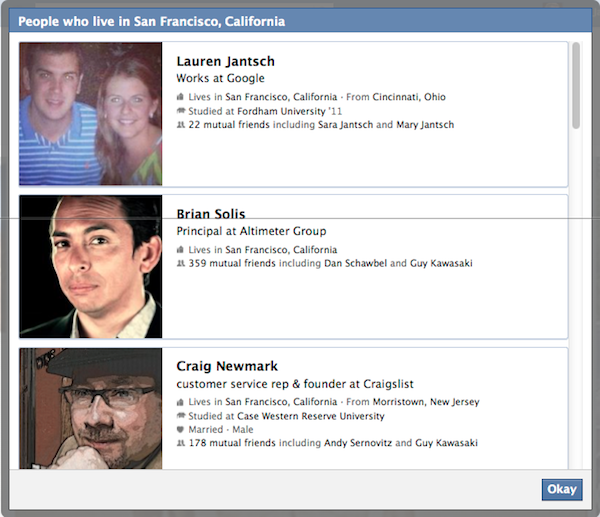 For Facebook Graph Search, you need to get social buzz going on Facebook itself. Encourage people to share, like and comment on your service or products. The more recommendations, the more likely you are to come up when a person is searching Facebook Graph for friend recommendations for a particular restaurant, recruitment firm or whatever line of business you are in. Currently, Facebook search results do have a “nearby” feature so that people can search business pages in the local area, but in the future they may have a full “local search” feature so that your business will have a higher profile on search terms of those people searching Facebook in your vicinity. Make sure your business is on Facebook Places and you are receiving the highest amount of reviews possible so Facebook will push you up in search results for the local area. Many Facebook users are still waiting for this feature to be enabled. Here is a recent Techcrunch article that offers some updates. This guest post was written by David Tully, Digital Marketing Strategist for Fast Growth Club; an innovative new coaching program for small businesses.